Starwood Moments – A weekend at Amsterdam Pride with the W Hotel. Starwood Preferred Guest is one of my favourite hotel loyalty programmes. They have some great benefits and really look after frequent guests very well. In addition to being able to spend your points on hotels, you can transfer them a large number of airline programmes too, at some really good rates. In addition, for a number of years, they’ve run a scheme called “Moments”, essentially allowing you to spend points, or bid points, for experiences. These are really well run, high-end, entertainment options. My little brother turned 30 a few years ago and I bid for him a “Moments” experience at a VIP box at FC Bayern Munich. He had an amazing time. This time, they’re doing a whole pride experience in Amsterdam, in conjunction with the W Hotel there. 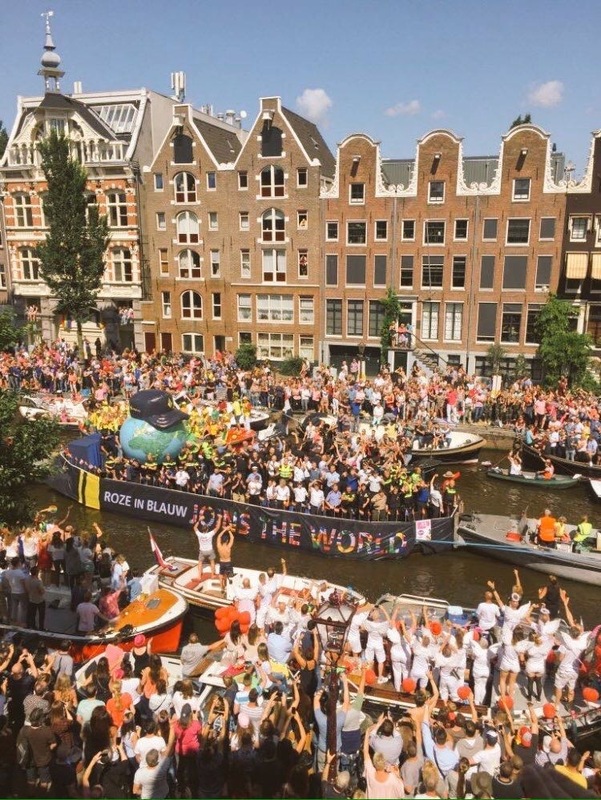 For those that haven’t done Amsterdam Pride before, instead of the more traditional Pride parade, it’s a boat parade down the canals. It’s a fantastic weekend so I can’t recommend it highly enough. The experience that they’re offering, starts at 25,000 SPG points and has pretty much everything you could ask for, barring flights to and from Schipol airport. The link to the experience is here. If you do end up bidding and win, please do let me know, I’d love to hear about the experience! Previous Post: EXCLUSIVE – New British Airways safety video.